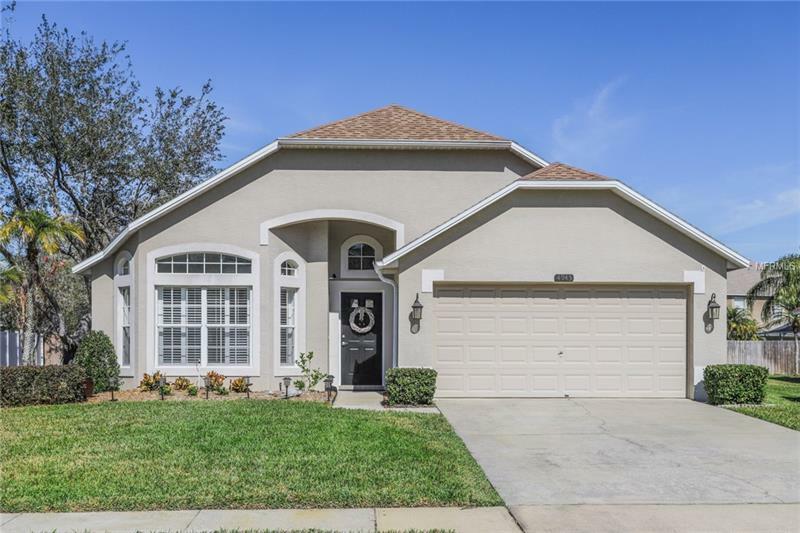 Excellent condition 3/2/2 1825 sq ft home located in the tranquil community of Coventry Village at Ridgemoor. The home is cozy and shows well. Large family rm, eat in kitchen, vaulted ceilings. Split plan bedrooms, with new carpeting. Other features include plant shelves, plantation shutters, new roof Jan 2013, new garage door opener Feb 2019. All zoned schools are graded 'A". Flood insurance is not required. HOA includes trash removal, located near the Pinellas Walking/Biking Trail, public and private golf courses and John Chestnut Park on Lake Tarpon. Hospital, restaurants, and shopping are in close proximity.